In this week’s episode we play Black Ops 3, Gears of War Ultimate Edition, Fallout Shelter, Rocket League, Smite and obviously more Destiny 😉 In entertainment we discuss the season premiere of Fear the Walking Dead. Finally in our Free for all segment Rico talks about the Moto 360 and our website redesign. Konami asks which games do we want back? Apologies in advance as my track has some minor crackling that I couldn’t remove, that being said the sound quality is still good overall. In this week’s episode we play Star Citizen, Pac Man 256, Fallout Shelter, Rising Thunder, Google Cardboard and Rico completes his Moments of Triumph in Destiny thanks to some help from The 100 website. In entertainment we discuss Fear the Walking Dead, Straight Outta Compton and Inside Out. 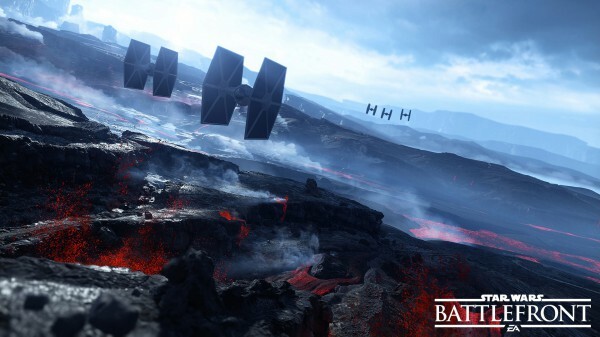 Finally in our Feedback section we debate AMD vs Nvidia graphics cards. In this week’s episode Rico continues playing Galak-Z, smokes more of his usual Destiny crack and Dayne finds himself sucked back into the Witcher 3. Rico discovers a Destiny match making website called The 100 that he rants about and suggests everyone to try out. In our comics corner Dayne shares his experience with the dark Image comic Wytches. In entertainment we discuss recent movie releases Get Hard, Home and the not so recent Expendables 3. In this week’s episode Rico plays a bunch of new games including Galak-Z, Rising Thunder, and Rare Replay. Dayne finds himself busy travelling and unable to play games he spends his time catching up on Comics and finally getting around to enjoying Cyber Force. Rico also finally checks out Antman and spends way too much money on a collectible Transformer. Nintendo is launching a variety of amiibo figures in September, including several amiibo hitting store shelves on the 11th of September. The amiibo figures launching on the 11th of September feature many fan-favorite characters from the Super Smash Bros. series like Zero Suit Samus, Ganondorf and Bowser Jr. A special Super Mario Bros. 30th series Mario amiibo modeled after Mario’s 8-bit look in the original Super Mario Bros. game will offer compatibility with the Super Mario Maker game for the Wii U console. 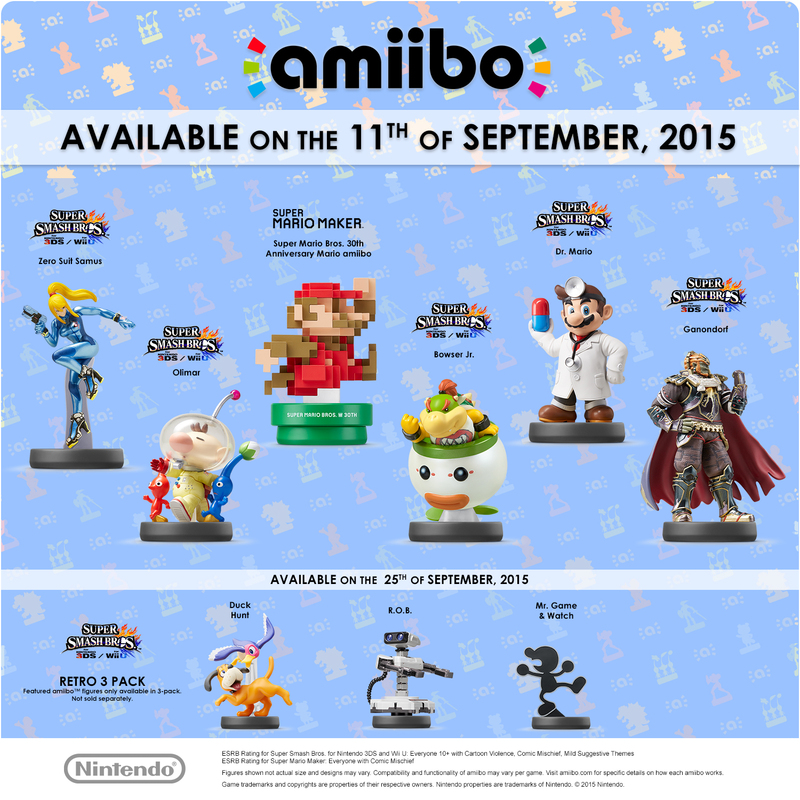 Both the game and the amiibo figure will launch on the 11th of September. On Sept. 25, a Retro 3 Pack will launch, which includes R.O.B., Duck Hunt and Mr. Game & Watch amiibo from the Super Smash Bros. series in a single package. Further details about availability and pre-order schedules for these figures will be announced directly from various retailers in the near future. Three figures based on Mii Fighters, which were previously announced for release in September, will now launch as a 3 pack in November. More information about launch plans for the 30thAnniversary Mario Modern Color amiibo in North America will be shared in the future. Nintendo today announced a release date for The Legend of Zelda: Tri Force Heroes for the 3DS. The game comes out on October 23, making it the second first-party title for the 3DS in the month, with Chibi-Robo! Zip Lash also hitting on October 9. Tri Force Heroes features three-player co-op play as well as single-player action via A.I. controlled paper dolls. via The Legend Of Zelda: Tri Force Heroes Gets A Release Date – News – www.GameInformer.com.